Often while people are thinking about what they really want to do, they are led in a somewhat different direction that is ultimately just right. Lorraine Slud’s career choices evolved slowly during a progression of interests and abilities in a variety of areas. As her ideas became more defined, she was able to better focus on what she wanted to do and how to reach her goals. A psychology major at George Washington University, Lorraine was affiliated with the American Psychological Association for close to ten years. Eventually she realized that her interests were leading her elsewhere. She explored coaching, became a wellness life coach, and spent some time researching health and nutrition. She soon realized that she was motivated to continue exploring other areas of vocational interest until she found the area that seemed right for her. “I have always enjoyed cooking,” says Lorraine, who became more involved for finding proper foods for her family after her son became a vegan. “I was always the party planner who loved having people for meals. I hosted Thanksgiving, New Year’s Day brunches and other social events related to food. After being certified as a life coach, I coached myself into a new job! I love to cook. It’s fun and creative – and I like to teach kids.” Lorraine had discovered a perfect career choice! Happy Healthy Chef is unique. Lorraine is a certified Healthy Hands Cooking Instructor. After working with this online organization that provides certification and career help to people doing what she does, Lorraine became certified after online testing and training in various kitchen topics. She has created a way to enjoy cooking and teaching kids while showing them how to eat better, feel better, and serve themselves in their kitchen while making proper food choices. She is also a certified Wellness Coach instructor. Lorraine’s classes are informal, small classes for up to approximately 10 kids, taught at a variety of venues. She has Healthy Happy cooking classes for kids, healthy lunch classes, cooking camp and a variety of sessions for adults. An elementary school Kids’ Camp held this past summer focused on knife skills and learning to cut food correctly. In this hands-on class, the kids made calzone and learned how to make smoothies and lunch items. Lorraine’s 4-week Core Program focuses on breakfast, lunch, dinner and snack (one meal a week). Her One-Day Classes include favorites like Bento Boxes, pasta, etc. Lorraine’s first Mommy & Me class in late October is designed for preschool ages. “There’s a resurgence in home cooking and in cooking in general,” says Lorraine. “There’s a great deal of variety in what I teach and it all appeals to kids, whose parents often lack time or interest in cooking.” Noting that many kids have no experience in the kitchen, Lorraine loves teaching them how to crack an egg, use a knife, and see how nutritious food and positive eating habits can make a big difference in their lives. Lorraine’s mission statement is important for today’s issues and values. “I wish to fight obesity and related illnesses by empowering and educating children and adults in the critical skill of nutrition and healthy cooking so they can make informed decisions for a lifetime of wellness,” says Lorraine, who “loves engaging with the kids.” Lorraine exhibited at the Oktoberfest Show at Kentlands and relies on word-of-mouth comments from happy clients who have been impressed by the classes they or their children have taken. A new WBO member, Lorraine notes that she has been to other networking groups and likes WBO because “I like the speakers, the community involvement, and the members’ sense of helping one another.” Originally from Connecticut, Lorraine likes to read, travel, and do things with her family when she is not working. The Sluds went to Italy last summer and loved it. Lorraine can be reached at lorraineslud@gmail.com or at 301-802-4949. You can also visit her web site at www.healthyinstructor.com/Lorraine. 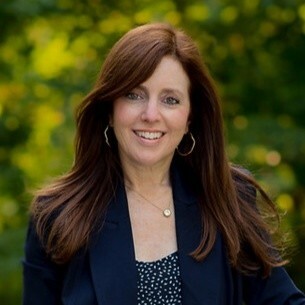 Ellen R. Cohen is a free-lance writer and editor whose “editorial advertising” helps her clients advertise their goods and services in a variety of ways. She can be reached at (301) 984-7444. 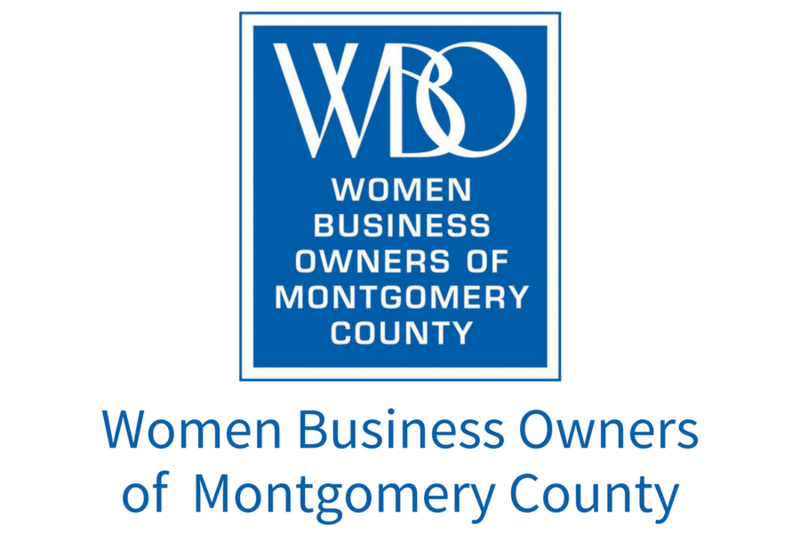 Women Business Owners of Montgomery County provides opportunities for engagement, education, and empowerment to local women business owners. If Montgomery County Schools are closed, the luncheon is canceled.